So what is gorge walking…? Gorge walking really is an activity to remember, not to be often confused with canyoning and ghyll scrambling. Gorge walking slots in between them both with canyoning being more adventurous and ghyll scrambling being slightly less. Our main gorge walk at Endless Adventure North East is easily accessible from Newcastle Upon Tyne by a short drive. It is perfect for a day trip with friends or a stag or hen party in Newcastle. Not so long ago in 2013, the cast of Geordie Shore took a day out and tried what is a brilliantly unique activity. Although they weren’t with us they had a fantastic time in series 7 of the hit show. So what is gorge walking? In particular what is gorge walking at Ashgill Beck? Culminating in the pool of a 50ft waterfall, what could be better? 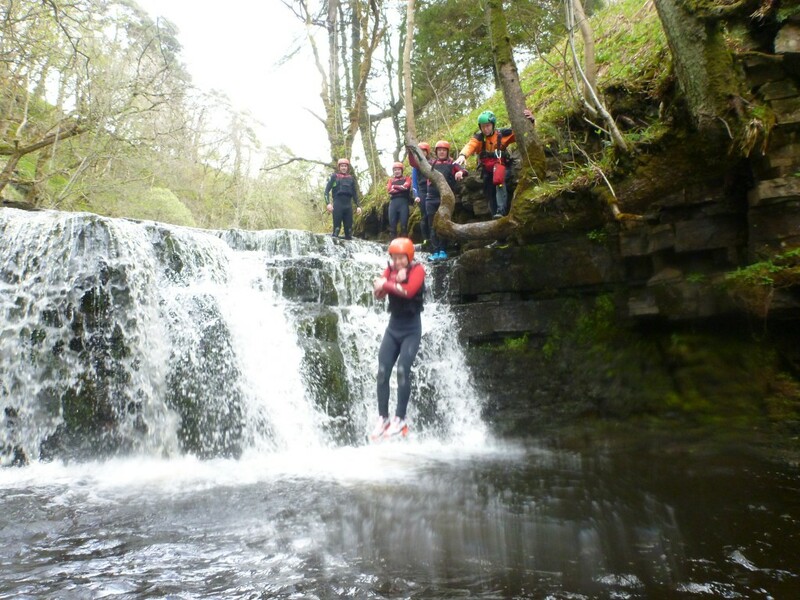 One thing that can make it better is adding a second activity, like an abseil off the huge Ashgill Force waterfall or whitewater tubing on the river Tees which is a short drive away. For more details about gorge walking Newcastle follow this link.